In Mark there are “sandwich stories.” Those are stories that have a beginning, then something else happens in the middle, and then the thing that is started in the beginning is finished. In this way, the stories are linked, Mark is trying to say something, not just about the individual story, but about the combination of the two stories together. Ok, so we see two stories. 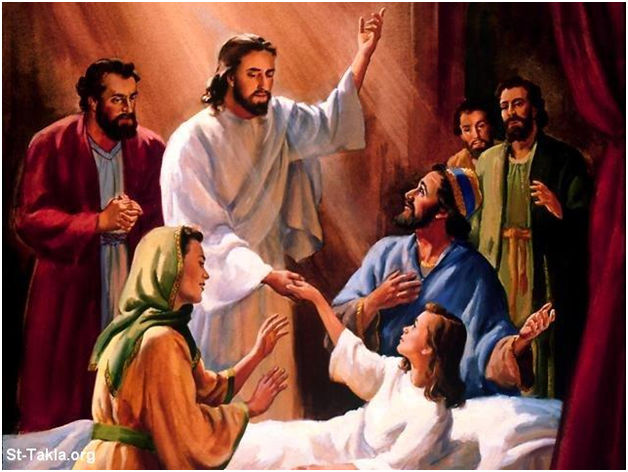 We see Jesus healing Jarius’ daughter. Then we see Him heal a woman who had been bleeding for twelve years. Why does Mark tell these two stories in combination? Well, in the first one story we see that He is going to heal the daughter of a leader of the synagogue. Notice, we don’t know the daughter’s name. We only know her as Jarius’ daughter. Now, Jarius was important, he was a leader of the synagogue, that’s a big deal. But in that culture, children were not important. They were simply a step of property. They didn’t have the same softness towards children that we do today in our world. But not so with Jesus. Even though this child would not have been seen as significant, Jesus goes out of His way to heal her. This child is worthy of His grace and His healing. All are worthy of His grace and His healing. No one is insignificant or unworthy. All are loved, all are valued, and Jesus died for them all. All. That’s a big word for Jesus. All. And we see that in the middle portion of this text, we don’t so much see Jesus heal a woman as we see a woman have faith that simply touching Jesus would heal her. And so she takes this leap, takes this risk, and touches Jesus. And in this, she is healed. But, just like the child, she would not have been seen as important in the culture. And a woman, much less a woman who had been bleeding (making her unclean) would never dare reach out and touch a religious leader (making Him unclean), but she was desperate. And she had faith. And you can’t make Jesus unclean. Because light drives out darkness. And good is stronger that evil. And life is stronger than death. And Jesus triumphs overall. Today, we see two “unworthy” receive healing. So, in that, know that you are worthy of knowing and seeing God’s grace, no matter what. And let us not look past those today that may be seen as unworthy. May we seek to love them as Jesus does. Friday we’ll look at the specifics in Mark 5:21-43.